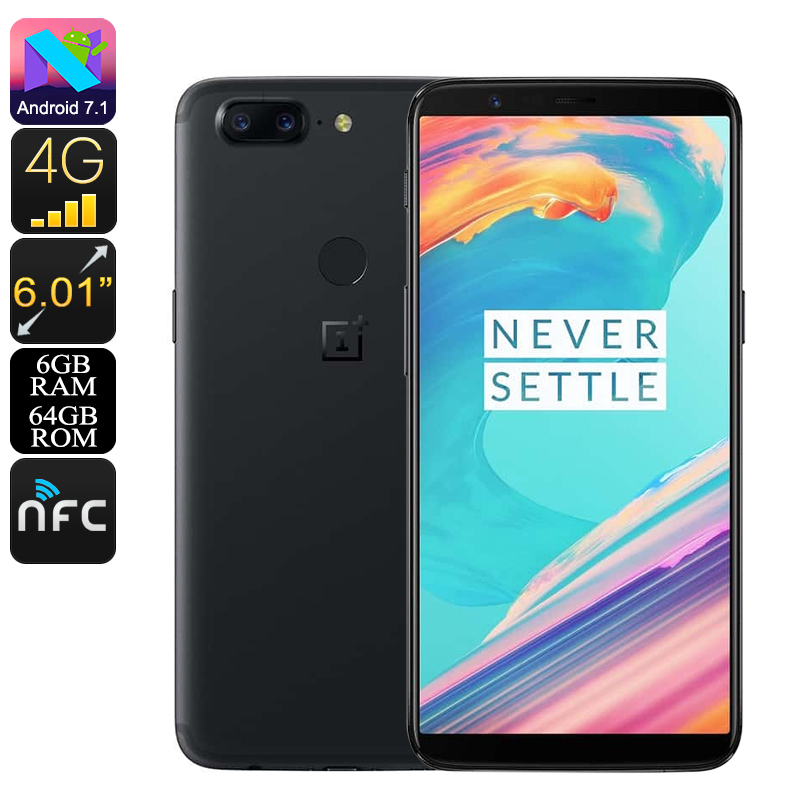 Successfully Added OnePlus 5T Smartphone - Snapdragon 835, 6GB RAM, Bluetooth 5.0, 6-Inch 2K Display, 4G, Dual-IMEI, 20MP Camera (64GB) to your Shopping Cart. Meet the OnePlus 5T smartphone, one of China’s most anticipated Android phones of the year. This Android phone comes packed with the latest hardware and software features. With its Android 7.1 operating system, it treats you to a stunningly smooth and lag-free user experience. You’ll be able to enjoy games, movies, and Apps without ever encountering any delay. This has been made possible thanks to the phone’s stunning Snapdragon 835 Octa-Core processor and 6GB RAM. Together, this hardware lets you enjoy the latest and most demanding media without ever dropping a frame. All your favorite media can be enjoyed on the phone’s stunning 6-Inch display. This screen comes with Corning Gorilla Glass 5 and features a breathtaking 2160x1080p resolution and 18:9 wide-screen aspect ratio. The OnePlus 5T smartphone supports Dual-IMEI numbers. This means that you’ll be able to slide in two SIM cards and stay connected to both at the same time. If you’re a busy business person or often travel abroad, this feature will be perfect for you. The phone furthermore supports Dual-Band WiFi and 4G for the fastest internet connections no matter where you’re at. From now on, you’ll always be able to stay connected to friend and family regardless of where you’re headed. For extra connectivity, the phone furthermore supports NFC and Bluetooth 5.0. These features will significantly increase the ease with which you can share and receive files on your Android phone. With its 3300mAh battery, the OnePlus 5T Android phone delivers up to 10 hours of continuous usage time. It furthermore supports an unbelievable 300 hours of standby time which will get you through a weeks’ worth of regular smartphone usage. The phone treats you to 64GB internal storage to keep all your files, media, and pictures. All of these can be accessed easily with the touch of a finger thanks to the phone’s ultra-fast fingerprint scanner. With its 16MP front camera and Dual-Lens 20MP rear camera, the OnePlus 5T shoots absolutely mesmerizing pictures and 4K video. This makes the latest Android phone perfect for all smartphone photography lovers among us. 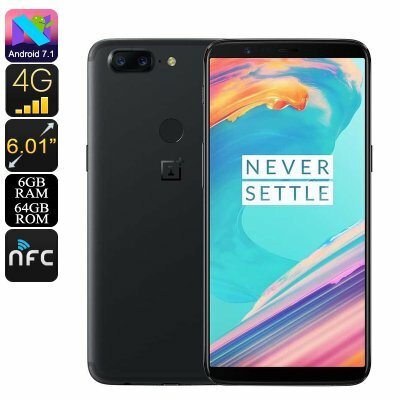 The OnePlus 5T smartphone comes with a 12 months warranty, brought to you by the leader in electronic devices as well as wholesale Android phones..